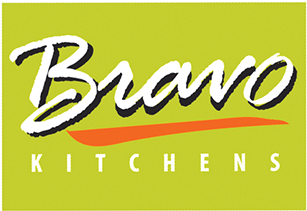 ​It’s safe to say kitchens are our forte. Our specialty. Our love. And when it comes to your kitchen, we want nothing more than to help you create a space that you love as much as we do. Whether you are in need of new cabinets, or looking for a complete renovation, we’re your team! 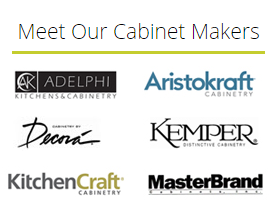 As the area’s premier supplier of stock, semi-custom and full-custom cabinetry, we have everything you could want. Too many options to choose from? We have a solution for that too… Let our design team help! They can help you design the perfect look for your kitchen, from cabinets to colors, floorings and fixtures and more. With the amount of time we all spend in our kitchens, from that first hot cup of coffee in the morning, to cooking, to enjoying a family dinner and entertaining guests, shouldn’t it be a place that has everything you need? ​We work closely with our customers to ensure every detail is just as you want it, from the largest to the smallest items. From the type of flooring to appliances, counters, cabinet handles and more, we’ve got you covered. We know how overwhelming a kitchen overhaul can be. That’s why our team works with you every step of the way to make sure you’re satisfied 100 percent with the final product. Give us a call to start today. You can reach us at (781)-662-7080.